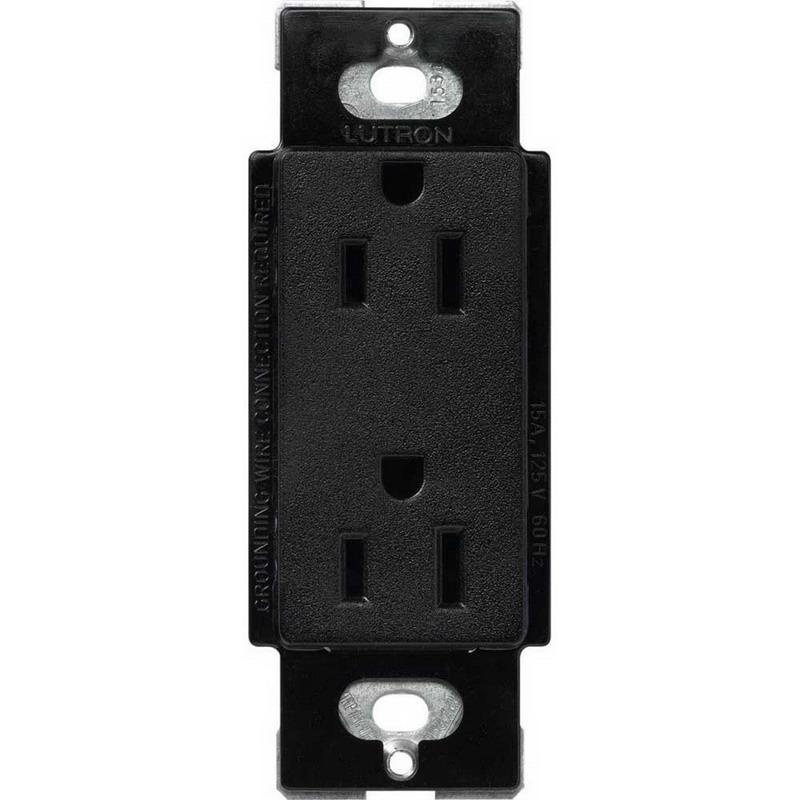 Lutron Claro® 2-Pole 3-Wire Tamper-resistant duplex receptacle in mid night color, has current rating of 15-Amps and voltage rating of 125-Volts. Receptacle has thermoplastic face and body with satin finish. It measures 2.94-Inch x 4.69-Inch. Grounding receptacle has steel strap for superior assembly security. It has rear push-in and side connection for quick and easy installation. Receptacle has 5-15R configuration. Receptacle is UL listed and CSA/NOM certified.